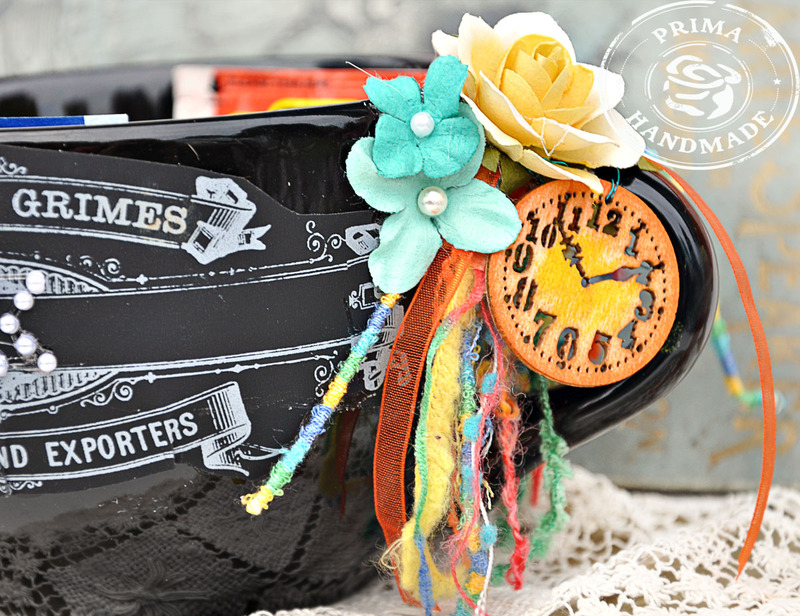 Prima has introduced some new unique Everyday Vintage Chalkboard Cards. They are charming and nostalgic. and perfect for a variety of projects; pocket pages, Project Life style memory keeping, or as journal cards. 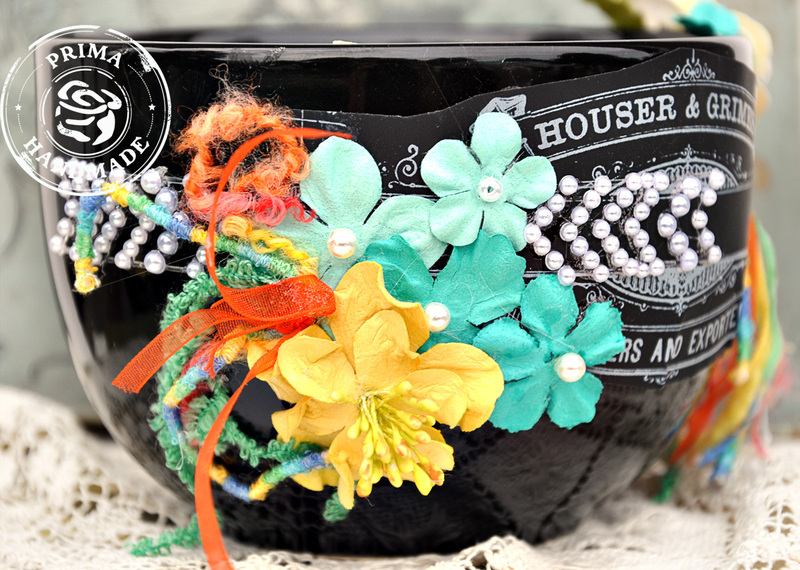 Today I am using them on an altered over sized mug. I created a gift to comfort someone who is in need of few moments to herself with hot tea and some peaceful quiet time. 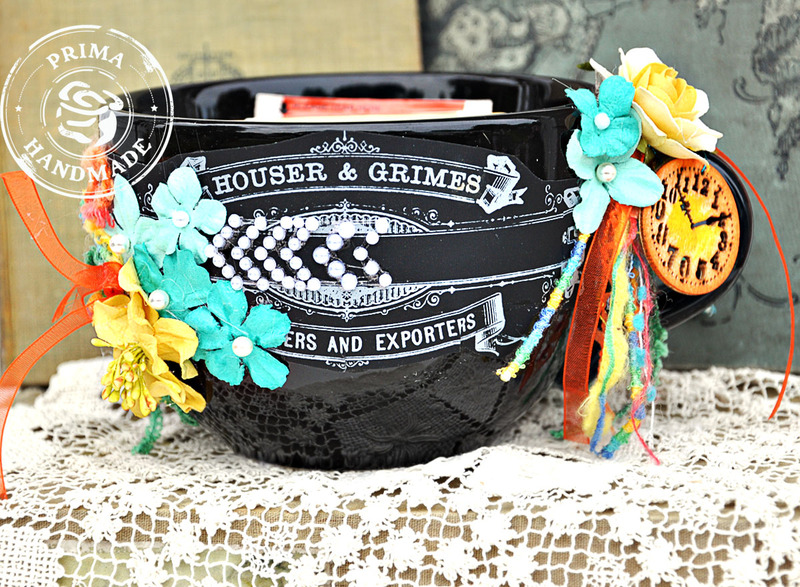 This over sized black mug is a great background for the dramatic Chalkboard Cards. Add some Prima crystals, bold colorful flowers, some tea bags and a few cookies or chocolates and you easily brighten someone's day.